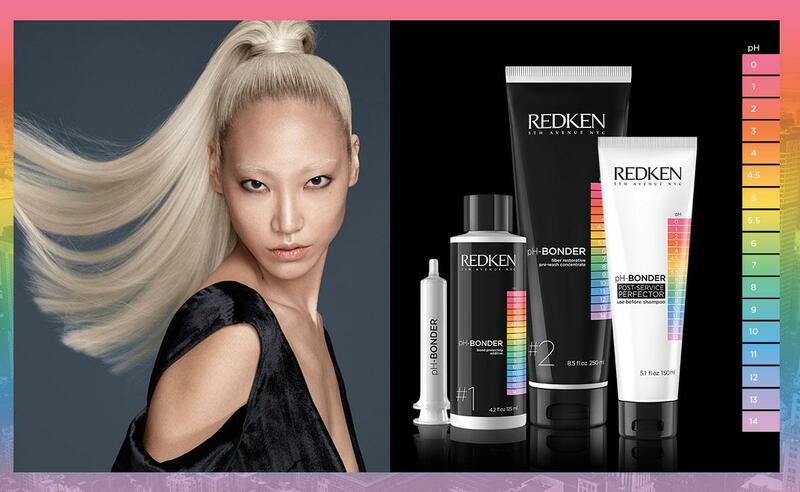 Introducing Redken’s new pH-Bonder, a complete solution to promote bond integrity during a professional haircolor or lightening service, resulting in softer, smoother hair while preserving the health of hair during each salon visit. New pH-Bonder minimizes stress and allows clients to achieve the lighter, brighter hair they desire while improving overall health of their hair. The system’s three components – #1 Bond Protecting Additive, #2 Fiber Restorative Pre-Wash Concentrate, and Post-Service Protector – are powered by the advanced technology helping to protect bonds and balance hair’s pH.